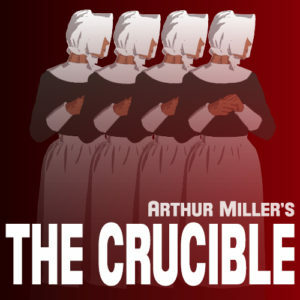 Using the historical and controversial subject of the 1692 Salem Witch Trials, “The Crucible” presents an allegory of events from the McCarthy Hearings of the 1950’s. Reason and fact become clouded by irrational fears and the desire to place blame for society’s problems on others, especially women. Winner of the Tony Award for Best Drama from 1953, it is still a show with timely themes. Death threats, alcoholism, a woman’s place in society, truth vs. lies, adultery, rich vs. poor, those in power and those not, faith in God… all leading to an ending like no other. It is still considered to be one of the most powerful and important works in American drama.